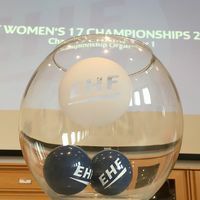 Lithuania and FYR Macedonia are the hosts of the two upcoming Women's 17 EHF Championships to be played from 14 to 20 August 2017. On Monday, the two nations got to know their respective opponents as the preliminary round groups for both tournaments were drawn in Vienna. The games of the Lithuania championship will be played in the city of Klaipeda; host city in FYR Macedonia is Skopje.